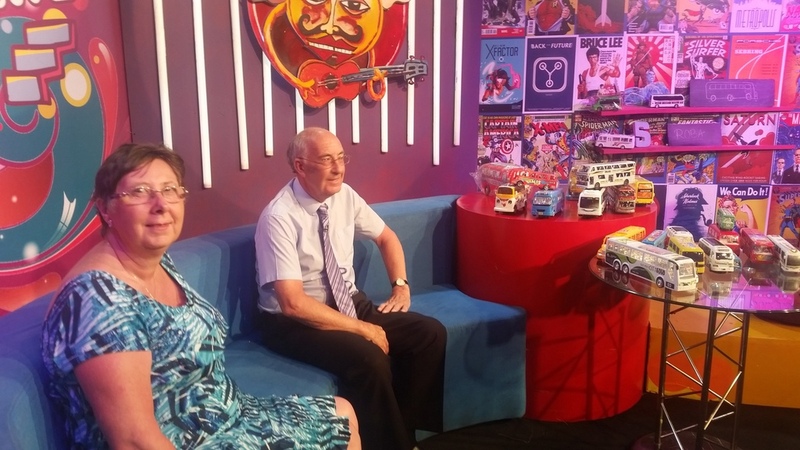 On the 6th October 2016 Geoff and Linda were guests at the Stein TV Studios, Ratmalama for a 30 minute live chat show which went out between 7.00pm and 7.30pm. The programme was on ITN 1 and was called RoboEve. But they were both unaware at the time that the programme was going out live they thought it was being recorded for later in the week. 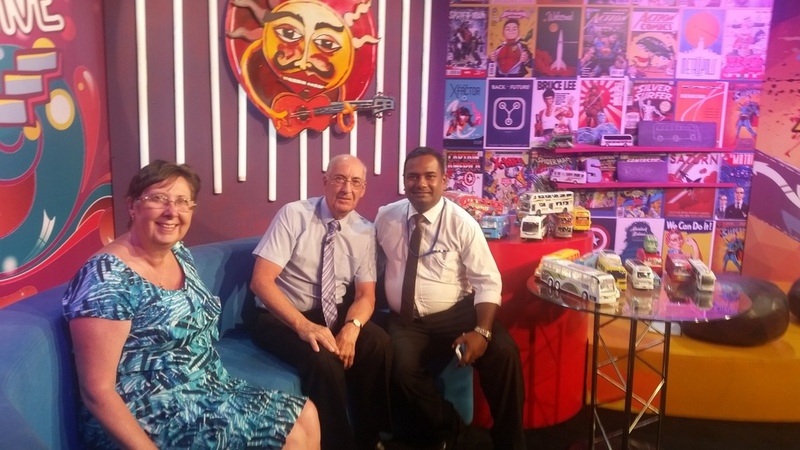 Sassha and Prabath co-presenters interviewed Geoff and Linda about their life and collection with models displayed that they had bought locally including the challenges of finding them in the markets and shops throughout Sri Lanka over the years. On the set Geoff and Linda brought along around 30 of the models they had purchased in the previous days and were chatting how they compared with other models in the collection. They were also asked about their lifestyle in the UK and other countries visited over the past 43 years building up the collection. At the end of the programme just before the credits started rolling they surprised Geoff with a cake for his birthday which was on the day of the live broadcast. As the programme closed the crew stormed the set to have a party and piece of cake. Thanks for a great experience - we have been invited back on the programme next year so will be more prepared. See further pictures below of the time spent at the Stein TV Studios. A telephone call from a lady asking if we could appear on a Children's TV programme was the start of something extremely special to us. 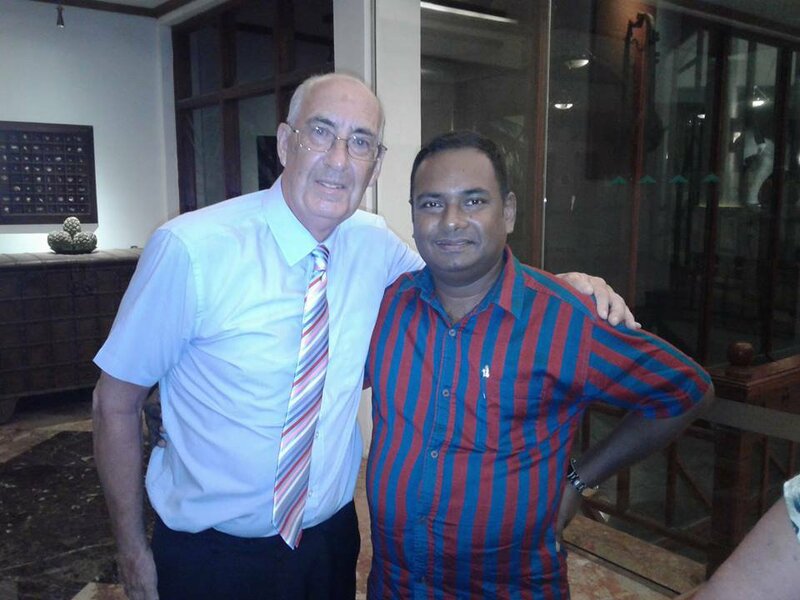 After agreeing to meet at our hotel to discuss the programme what transpired was truly amazing and unexpected. 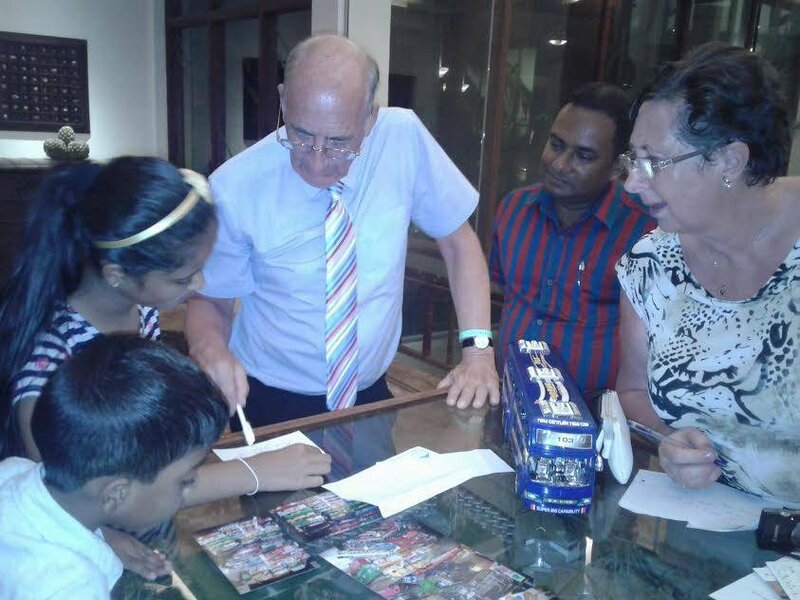 An 11 year old girl called Pulara turned up with her family and programme producer Pradeep Mahesh (who was her uncle) to talk about the show. On introduction from Pulara this was amazing as she spoke perfect English, introduced everyone with her and her enthusiasm, passion and confidence blew us away. 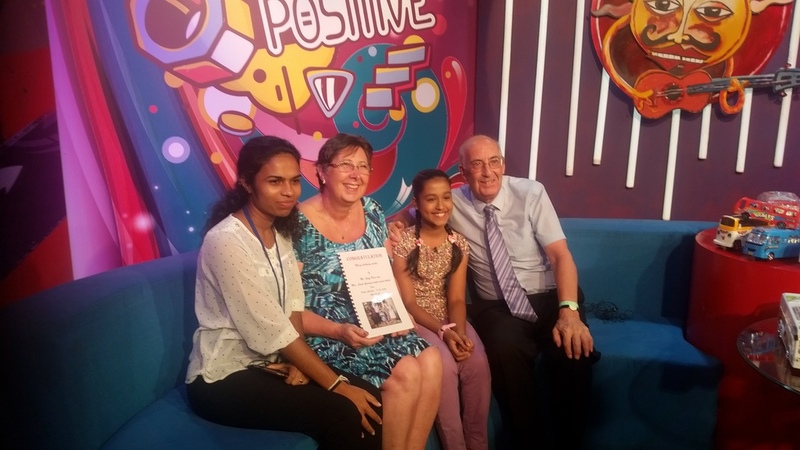 She had in fact been doing this programme for five years, written ten children's books, interviewed two past Presidents of Sri Lanka, and was very well known throughout the Country and looks set to become a TV presenter for years to come. We duly obliged and arranged with the Royal Palms Beach Hotel Management for her and producer film crew to come to the Hotel the following Sunday to record her 30 minute programme which was to be all about ourselves collecting buses (toys) from all over the world dating back to the early 1900's. 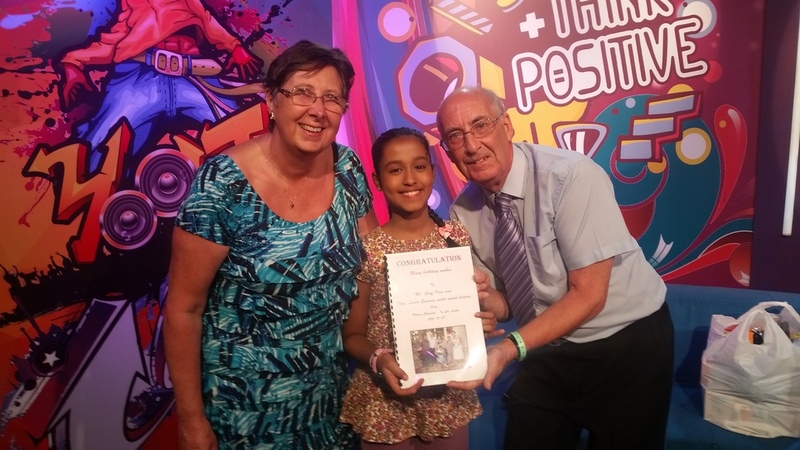 Pulara had a co-presenter with her also 11 years old called Hiruni - she is a well known junior gymnast champion who helped with the introduction to the programme. 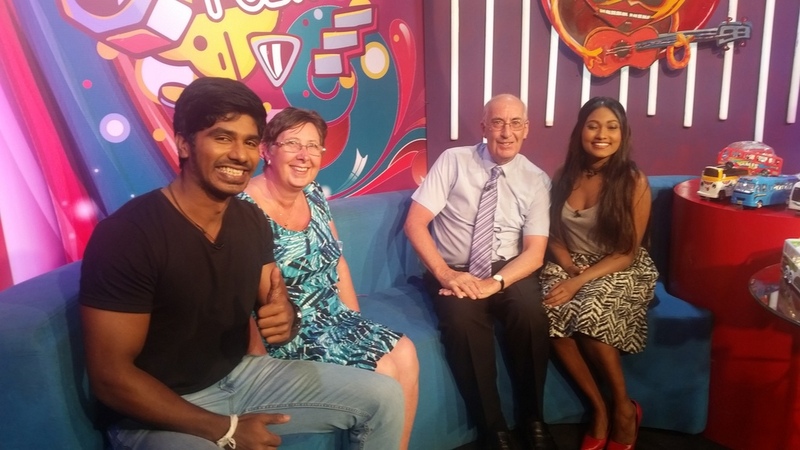 We were delighted with both the outcome and professionalism of the way she handled the filming and Geoff must apologise for the number of retakes he had to do to make a promotional trailer for the programme coming up as he could not remember the Sri Lanka title easily We understand the programme was to go out the following Sunday 16th October at 5.00pm - 5.30pm. The programme was called Paddanga Wada on Sirasa TV - ITN One. 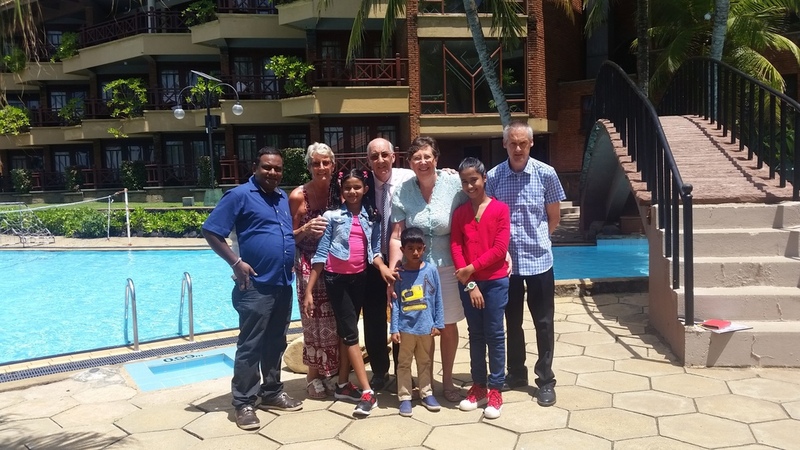 This was a great experience for both of us and during our stay she also presented to us a specially made booklet featuring photographs about us and the work we have done over the years including our support for Sri Lanka. Following filming a few days later we were delighted to visit her family home and view some of the TV programmes she had been involved with. 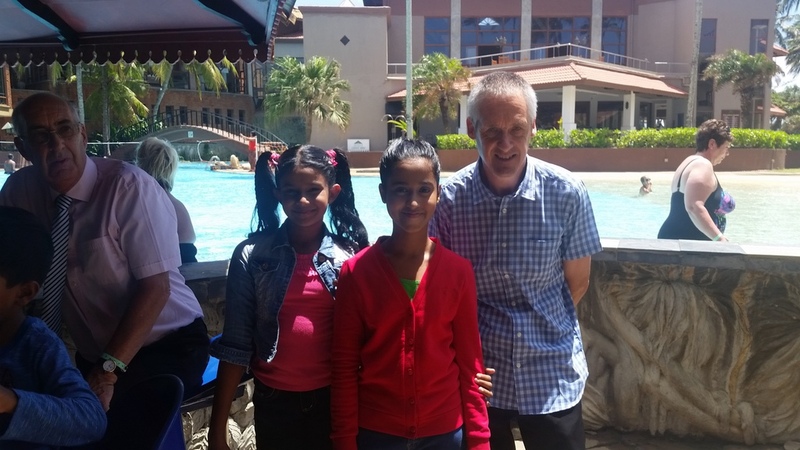 Another great experience and thanks to her parents for looking after us all so well on this visit. They must be truly proud of a fantastic daughter and we are sure she will go far in the future and she has promised to come and see us and our collection in the UK in the not too distant future which we look forward to. See pictures below of when we first met with her and also how the filming day went.